Director Martin Scorsese's The Wolf of Wall Street unabashedly immerses itself in the vulgar, corrupt and greedy world of late 1980s Wall Street, based on the true-life story of Jordan Belfort. The film is nominated for Academy Awards for Picture, Actor (Leonardo DiCaprio), Supporting Actor (Jonah Hill), Director and Adapted Screenplay. 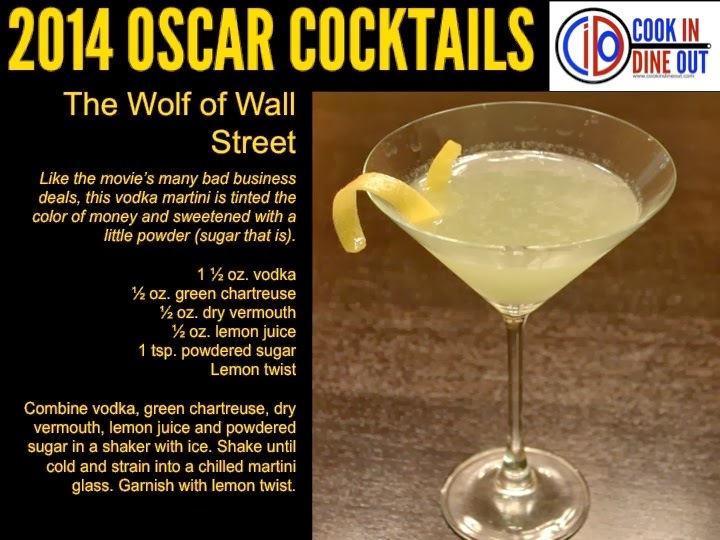 For The Wolf of Wall Street, I wanted a cocktail that the businessmen in the film could drink while closing deals. Inspired by the vodka martini, I used green chartreuse to represent money, lemon juice to signify the undervalued stocks (i.e. "lemons") Belfort's company peddles and powdered sugar to stand in as the, um, powder that also fuels the film's main characters. Combine vodka, green chartreuse, dry vermouth, lemon juice and powdered sugar in a shaker with ice. Shake until cold and strain into a chilled martini glass. Garnish with lemon twist. 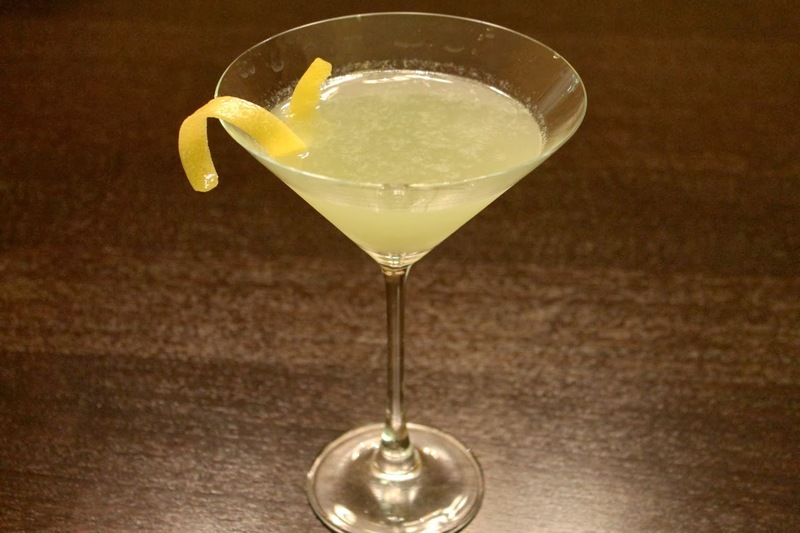 Between the green chartreuse, the lemons and the powder, this might be your cleverest drink of all! It made me not love but utterly loathe Belfort - a moral victory, perhaps, but also something of a problem, because a character who is simply detestable rapidly becomes uninteresting.